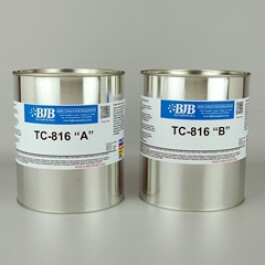 TC-816 A/B is a durable, filled polyurethane system that offers excellent duplication properties. Like its sister product TC-1630, TC-816 A/B exhibits low shrink, low exotherm and quick demold times. The main difference between the two products is that platinum silicones can be cast against TC-816 whereas you cannot with TC-1630. TC-816 is also popular for pattern duplication, vacuum forming tools, tracing tools, foundry core boxes, wax casting molds, and general casting molds.